Aduro 13 is a modern and advanced wood burning stove with an appealing and simplified expression where the combustion chamber almost appears to float on the base of the stove. The primary material is cast iron for the front, top and sides of the stove. Cast iron enables soft and rounded surfaces with a pleasant texture and interesting details. Side glass panels bring the atmosphere of the fire further outside the stove by enabling the viewer to look inside the combustion chamber from a large range of angles. The stove has a shallow depth and incoorporates the handles for the door and Adurotronic (automated air regulation) into the shape of the stove hereby giving a flat look without protruding elements. 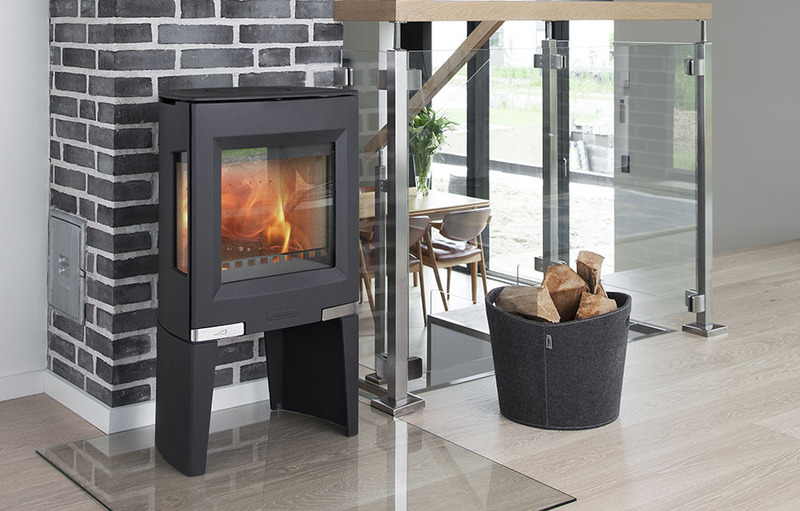 Aduro 13 is a smaller wood burning stove with excellent performance (80,5% efficiency) which makes it very relevant for newer and/or smaller homes with lower heating demands. Aduro 13 is made in collaboration with Torben Madsen, aarhus arkitekterne.